Romantic vibes this week beautiful Aries, the Knight of Cups is coming to you to remind you of your own developing romanticism, this week you can expect more romance in your life. Romance and love could be on your mind, you may be yearning for more love and romance and this week you may receive all this. The card is a gentle reminder that what you give to yourself, the universe will respond in kind. Romance and expansion of the heart are likely coming to you this week. 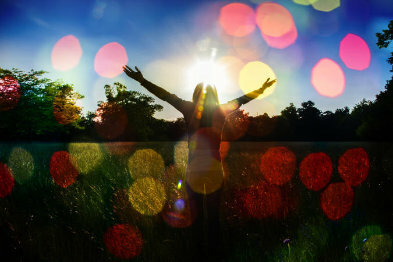 The message of this week is to open your heart to life’s possibilities and open yourself up to life as much as you can. Some wonderful and optimistic news is likely on its way to you this week. You’re likely to be feeling more open-hearted, charged up and ready for action to deal with whatever arises. Your career or a creative project that you’ve been working on is likely to move forward with positive momentum. You’ll likely be feeling good about your accomplishments and achievements. If you’re single, somebody charming could sweep you off your feet in a lush way this week. 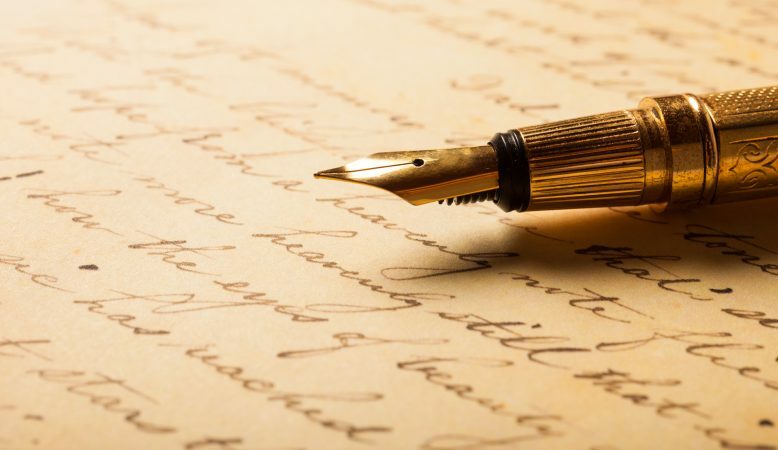 If you’re in a relationship, you’ll probably want to express your dearest and most true feelings, perhaps declaring your love in a deep and profound way. Whatever your relationship status is currently, it seems that you’re ready to listen to the wisdom of your sacred heart this week, it’s likely that you’re sensing that your heart’s guidance leads you toward magical and mystical feelings and people. You could be feeling like you’re in love with your life and feeling like life is magical, there is likely a positive situation on its way to you this week that will hopefully uplift your emotional life to an exalted and uplifting place. 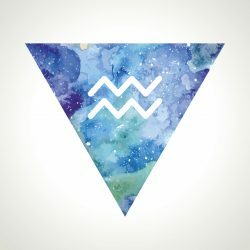 You’ll likely be feeling like you want to break free this week wonderful Taurus, perhaps change the way you do things. There could be some things that are bringing some frustration at the moment, perhaps they are fears or inhibitions. You could be feeling like you want to break free, if you’re feeling like this, try to ask yourself, what’s holding you back? What is making you feel stuck? There could be some unhealthy behaviours that you’re displaying, you may have gotten yourself into a rut and you may be feeling like you want to desperately make some changes. This is a great card for changing your life, it’s not a scary card, The Devil is the light in the darkness and it’s leading you towards feeling happier. This week is a good time to look honestly at yourself and your life, try to understand that you’re not perfect, none of us is, we are all perfectly imperfect. 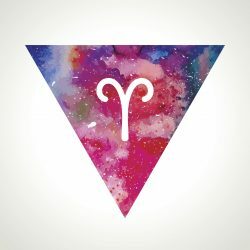 Try to acknowledge your darkness and shadow this week sweet Taurus, the parts of yourself that you deny and repress, such as laziness, lust, greed and envy could be holding you back in some way. If you disown these parts of yourself, it’s too easy to project them onto other people so that you don’t have to deal with it yourself, and this tends to cause more problems and can create havoc! If you can be brave enough to acknowledge all that you are, you’ll be able to unlock parts of yourself you didn’t know were there and a massive amount of positive energy can be released! This week is the time to expect new insights and the release of any blockages that are hindering your growth, The Devil is helping you to feel freer and allowing you to develop your fantastic potential. 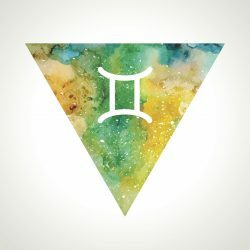 Beautiful Gemini, you are entering an intense psychic and intuitive phase this week, it’s time to trust your instincts and pay attention to the signs and symbols you receive. The Moon is reminding you that things may not be what they seem, you could be feeling in a state of flux/change and uncertainty. Tune into your intuition, feel and hear its sacred guidance, if you feel you can trust something, then you probably can trust your gut and the feelings you feel. 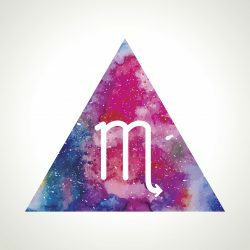 You may be feeling more emotional this week, The Moon governs the ocean and has an effect on all of our feelings, it could be wise to take care of your emotional life by partaking in things this week that will help you to relax and engender patience. Take breaks from things if you need to, give yourself room to feel your emotions. Try to take good care of yourself this week, make sure you’re hydrated. You could experience an increase in your psychic powers and intuitive gifts this week. Pay attention to your dreams this week, they could be quite prophetic and guide you in your waking life. Any unusual dreams you have this week could be full of messages, this week holds the potential to guide you toward greater clarity, optimism and perhaps inspiring your creativity in new and magnetic ways. You may experience some feelings that are unprocessed, you may feel that you need to purge and release something. If you feel like crying, do express your emotions this week, honour the feelings, be kind and gentle with yourself in the process, The Moon has the power to soothe and cleanse you, try to allow it. Sweet and sensitive Cancer, you’ve got the Ace of Cups this week so it’s likely that you’ll be feeling the graceful and magical flow of the giving and receiving of love. The Ace of Cups is potent and signifies the beautiful blooming of the heart and an increase in intensity in your emotional realm. The balance of giving and receiving may be important and a focus for you this week. There is likely an abundance of uplifting feelings to be experienced, a new and fresh perspective on love is expected to be felt in your heart. This card is associated with the goddess of love Aphrodite, it is said that she emerged from the ocean, her curves enveloped by foamy waves of the sea. It is likely that you will be emerging into a new phase, welcome love into your life dear Cancer, allow feelings to penetrate your shell, open your heart to receive what is rightfully yours. You could be examining how worthy you feel of love and perhaps expand your capacity to receive love as well as you so easily give it. You may experience the gift of an emotional connection and the beginning of a something wonderful, this could be a new chapter in your self-love, the start of a more intense phase in an existing relationship or the beginning of a greatly emotional fulfilling new relationship. This is an auspicious and fortunate time for all close relationships. You’re likely to be feeling a sense of peace and love this week Cancer, allow your heart to guide you, honour and receive the love that comes your way, embrace all the new beginnings. 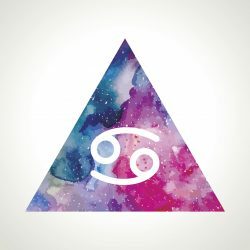 Wonderful Leo, you’ve got The Emperor this week so it’s likely that you’ll have an increase in your abilities to organise and plan. You could be feeling more powerful this week and want to build something tangible. You could have been working hard to establish something that’s important you recently, perhaps you’re wanting to take a stand, become more powerful, perhaps your ethics or values are becoming concrete, you could be thinking of founding a business. Whatever you’re organising and planning this week is likely to go well and increase your confidence. Any efforts will not be going unnoticed. You may find yourself inspired by someone that is exhibiting authority and leadership. You may be the one inspiring others as you are to be great at order, logic, and organization this week. New and powerful qualities are emerging from within you, you may feel that you want to pay attention to self-discipline, logic, and order in your finances. The Emperor is helping you to step into your regal power and reminding you that what you focus your attention on grows, so try to focus on what do you want to grow this week for optimal results and outcomes. You have the potential to create structure and order in multiple areas of your life. Try to focus your attention on what you have, to help things will grow. Focusing on lack could bring about feelings of stagnation, so try to honour the presence of the gifts and abilities you have and by becoming more stable and powerful. 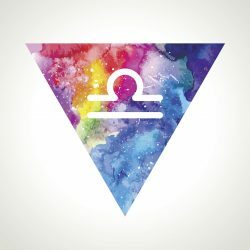 The Emperor is telling you that anything that requires discipline and structure is likely to go smoothly for you during this week, meditation is likely to quite easy for you this week, this is just one example of how the power of the mind has the potential to bring outer and inner stability. Beautiful Virgo, you’ve got the Queen of Wands this week, so you have the gift of imagination and being able to manifest your visions into conscious reality. Your creativity is likely to increase and so too your energy levels, you could experience some good news that increases your abundance, brings you warm feelings and enhances your generosity to dish out to yourself and others. You’ll likely be feeling powerful, strong, courageous this week, you may want to use this energy to enhance your projects or goals, you could be feeling charged up and ready to throw yourself wholeheartedly into something new. You could be carefully considering what you commit yourself to, has commitment been on your mind recently? There may be a realisation for you this week, things you wish to dedicate yourself to bring you great happiness and fulfilment. You can expect an increase in your visions for the future and more passion in your relationships this week. The Queen of Wands is boosting your power and confidence, your aura is likely to grow in illumination and this will help draw the right opportunities and people to you this week. It’s likely that your nearest and dearest will be showering you with love and adoration, helping you to feel appreciated and valued. This is an intense week of learning and growth, the Queen of Wands is reminding you of your incredible power, asking you to mindful of times when you could benefit from channelling the forceful aspects of your personality into your passions so that you can be more graceful and regal. Trust your visions, imaginative and creative gifts this week, all those flickers of excitement you experience in your tummy are harbingers and indicators of future potentials and happiness, time to honour your power and own your confidence, you deserve the best! 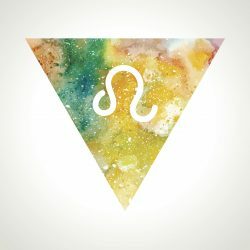 Wonderful Libra, you’ve got the King of Swords this week so you could find that organisation is your best buddy this week. It’s likely that you are wanting to sort out and organise some things, you could have a mighty to do list and have an urge to tick them all off this week. The King of Swords is telling you that you have the capabilities to achieve your goals and desired outcomes, any plans and commitments you have this week you’re likely to be feeling on top of them. You could be taking your responsibilities quite seriously this week and perhaps have a yearning to plan and organise yourself more effectively. The King of Swords is master of organisation, giver of mental clarity and sound judgement. You could be asked to step into a leadership role and be respected at work for helping to make beneficial decisions for everyone. You could find it easy to detach yourself from emotional situations, helping you to keep your mind clear and unbiased, and ultimately fairer in all your dealings. You may experience a new perspective this week, one that allows you to be more objective and reasonable. The King of Swords is helping you to be rational and diplomatic, using your intellect and logic will help you to navigate any negotiations smoothly, helping you to get along with others brilliantly. You are likely to be working smarter rather than harder this week. 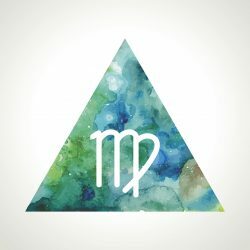 Wonderful Scorpio, you’ve got the magical High Priestess this week so intuition is likely to be your best friend. In book, The Artists Way by Julia Cameron, she mentions that we all have an inner well of inner wisdom and creativity which we can draw upon at any time, she encourages the reader to partake in alone time which she calls artist dates, explore symbolism, art, music, the sacred and divine feminine. The High Priestess is like having your guardian angel on speed dial, so when the phone rings, make sure to answer it this week and by all means call your intuition up, converse with all that resides within you this week. Femininity, inspiration, reflection and introspection, will come forth quite gracefully this week, you’re embodying magical wisdom and power, you are The High Priestess! Trust your intuition and your inner knowledge this week, pay close attention to your dreams as they could be prophetic and could give you some valuable and meaningful messages. Synchronicities could be thick and fast, eerie coincidences that reassure you that you’re on the right path and that you can trust your inner guidance. A secret could be revealed, a surprise may come your way, knowledge is likely to be revealed, however, this week manifests for you it’s likely that you’ll be feeling the support from the universe and feeling assured that you can trust your inner guidance. 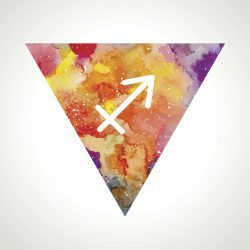 Beautiful Sagittarius, you’ve got The Star this week so it’s likely that some hopeful and optimistic feelings will emerge. Wish upon a star when you’re gifted with this card, whatever your dearest wishes and hopes are have the potential to manifest when you get The Star. It’s likely that you have recently come out of a difficult experience and you could be feeling a little emotionally bruised by something. The Star card tells us that even when it’s darkest, when you look up, pray, feel hopeful, you witness light, optimism and an increase in faith. It’s likely that you’ll be feeling optimistic, hopeful and have a brighter faith in a happier future this week. You could have more belief in your heart and believe that things will improve, keep it up dearest Sagittarius, having faith during both good and challenging times, gives you the opportunity to open new doors to your dreams and potential. The Star is helping you to see that your most cherished wishes can come true when you believe and when you keep the faith that things will work out for the better. You are likely to experience a beautiful positive outlook and you could be feeling like things are coming together beautifully for you, the universe can support you and your dreams more readily when you hope, trust and believe. Gorgeous Capricorn, you’ve got the Eight of Pentacles this week so you’re likely to be hard at work and feeling good about it. You could be focused on work, a project, home or on your body. The Eight of Pentacles comes to us when everyone can see that we are working hard and is recognising our amazing abilities. This week you’re likely to see how the work you are doing is having an amazing effect, you’re likely to be working incredibly hard towards something and feeling determined to succeed and perhaps rather enjoying giving your full attention to something. Work is likely to be on your mind, you’re probably wanting to channel all your energy into your commitment and goal. The Eight of Pentacles is telling you that you can put your amazing talents to good use this week by being focused, whilst continuing to develop your skills. You could experience an increase in enthusiasm and dedication, this is one of the gifts of this card. This week, you are being shown that you have not exhausted all of your potentials yet, you must believe that you can continue to grow and make things manifest. 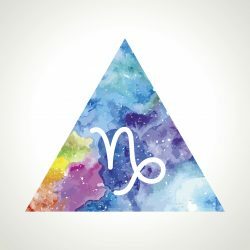 You may experience a boost in your material life and get an opportunity to further your skills or receive a promotion, emotional satisfaction can be felt this week by recognising that you have a multitude of talents and specialised skills. Whatever you are working on at the moment has the potential to bring you better opportunities in the future. Gorgeous Aquarius, we are in your season and you darling, are in your element! You’ve got The World this week so a peak experience could be coming to you, perhaps celebration too! Balance and wholeness could be a theme for you this week, The World is showing you that you have all the resources and abilities you need to create longlasting happiness and growth in your life. There could be feelings of success and achievement, perhaps experiences of feeling accomplished and whole too. The Wolrd is reminding you that you can achieve success and obtain your goals by keeping your focus and determination high and clear. You could be feeling like you have lots to be triumphant and happy about, sometimes this card can indicate the success of bringing something important to a conclusion, you are likely to be feeling like you’ve achieved a goal that you have been working incredibly hard towards. You could be considering travelling and expanding your horizons, you’re completing a cycle, a new beginning is promised. The World is asking you to celebrate and acknowledge all that you’ve achieved to get where you are today, embrace this week knowing that you’re great and that there’s more excitement on its way to you, open your arms to this new chapter you’re beginning. 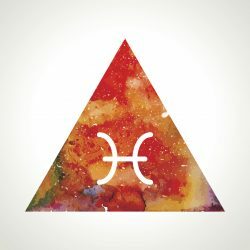 Wonderful Pisces, you’ve got the Nine of Pentacles this week so you’re likely to be feeling great about your level of success that you’ve achieved to date. The Nine of Pentacles speaks of the confidence that comes from being self-sufficient and disciplined. It’s likely that all of your hard work and home and work is being noticed and acknowledged this week. Your grace and independence are likely to continue to help you craft a stable life filled with quality and fulfilment. There could be plentiful feelings of self-satisfaction, material success, wellbeing and contentment this week. The Nine of Pentacles is asking you to recognise your amazing personal achievements, take notice where you have gained confidence in your journey, you could have gained something of great personal significance recently and this is filling you with pride and accomplishment. 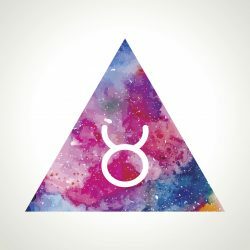 There’s likely to be a beautiful sense of uniqueness and pleasure this week, you’ve done it your way and you could be feeling fabulous about what you have been able to achieve. Self-esteem is likely to be boosted this week, your efforts recently have been amazing and you’re likely to be feeling like you’ve earned your rewards. The Nine of Pentacles is a reminder of the long-lasting satisfaction that can be felt when we appreciate self-sufficiency and privacy, deep satisfaction is yours this week and it’s a result of a solid identity that is emerging.